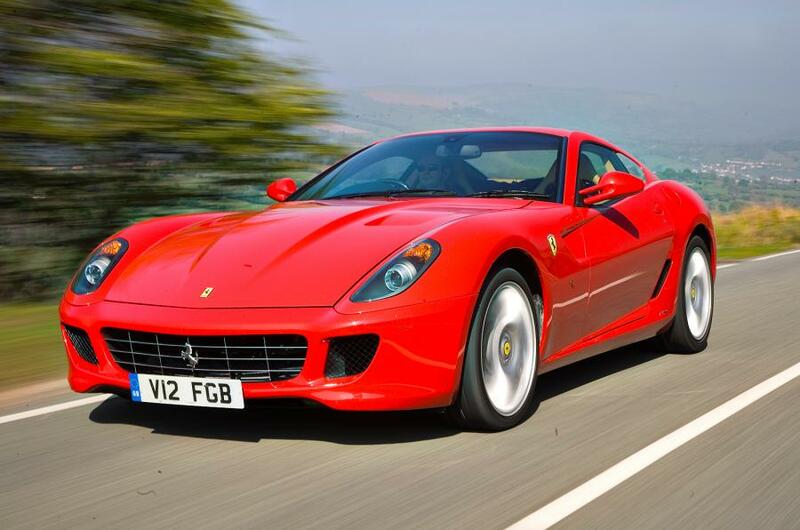 What’s So Special about the Ferrari 599? The Ferrari 599 GTB Fiorano is an Italian sports car produced by Ferrari from 2006-2013, replacing the 575M Maranello in 2006 as a 2007 model, then was replaced by the F12 Berlinetta in 2013. The car takes its name from the Fiorano circuit Ferrari uses to perfect the performance of its race cars and road cars. GTB stands for Gran Turismo Berlinetta, after the most famous Ferrari berlinettas ever built, and 599′ is the displacement of the V12 engine divided by 10. So what’s so special about the 599? It’s a Ferrari, so, of course, that instantly makes it exclusive, unique, desirable, etc. Oh, and fast. Very, very fast. But what about this model in particular makes it one of the most sought-after exotic vehicles on the market? We attribute this model’s appeal to its near-perfect blend of opulence and performance. When people think of Ferrari, rarely are they thinking about luxury, comfortability, or functionality as an every day driver. More often than not, Ferraris are considered for their speed, their collectability, their pedigree. The Ferrari 599 is one of the first models to embody all of these attributes. This is a fast car. So fast in fact, its engine production made it the most powerful series production road car of its time. “How fast” you ask? 0-100 mph in 7.4 seconds, and 0-60 mph in just 3.7 seconds. Those are impressive numbers, but it’s not just its speed that’s impressive. What is perhaps most impressive about the 599 is its statistics, considering its usability and everyday drivability. When creating the 599, the main focuses were to increase driving pleasure, to guarantee performance and to ensure comfort, ergonomics and safety. For a brand that’s known for its race-car-like ride, “driving pleasure” is of course a relative term, but one we found to be much more broad and relatable when it comes to this model. In other words, Ferrari-fanatics and race car drivers are not the only ones who will enjoy driving (and riding in) the 599 GTB Fiorano. This model can be driven safely and comfortably all day, every day. The 599 presents a model of sophistication and athleticism that is pleasing to the eye without compromising its capabilities on the race track. The 599’s touring comfort in conjunction with its epic performance and rarity secures its place in history as one of the greatest Ferrari road cars ever. *A naturally aspirated engine is an internal combustion engine in which air intake depends solely on atmospheric pressure and which does not rely on forced induction through a turbocharger or a supercharger.